The competitors have not just misjudged Jio's capability to rake in a large subscriber base in such a short time but have also undervalued its strength to keep the tariffs war going. Whenever Airtel (or any major operator) begins to feel that the worst is over, Jio fires another salvo that makes their survival even more challenging. 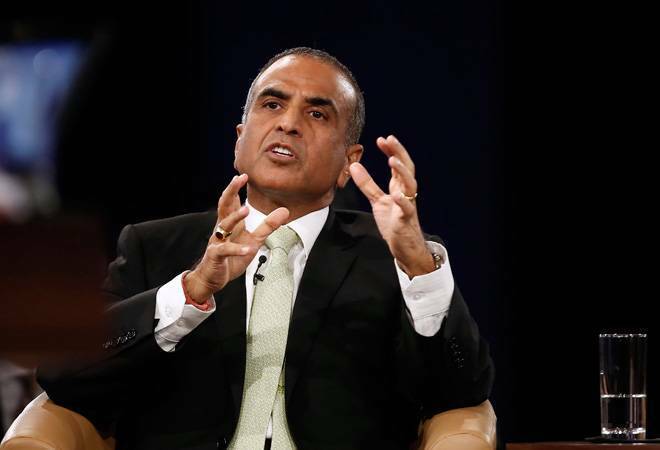 Telecom tycoon Sunil Mittal, Chairman of Bharti Airtel, is fighting one of the toughest battles of his life. The telecom sector has been upturned since the entry of Mukesh Ambani-controlled Reliance Jio which is offering disruptive prices -- it has shaken the once-sturdy business models of telcos like Airtel and Vodafone. So far, Jio seems to be moving one step ahead of its competitors. The competitors have not just misjudged Jio's capability to rake in a large subscriber base in such a short time but have also undervalued its strength to keep the tariffs war going. Whenever Airtel (or any major operator) begins to feel that the worst is over, Jio fires another salvo that makes their survival even more challenging. Indeed, Mittal, 60, is pushed to the wall by Jio and the regulator TRAI. His notable supporters are far and few between - except Goldman Sachs that's still betting its money on him - at this point, but it doesn't matter as long as consumers are not leaving him for Jio. In the fourth quarter of 2018/19, Airtel added plenty of voice and data customers - 13.9 million voice and 15.2 million data subscribers. The data customers are critical for telcos; they contribute more to the revenues than voice-only customers. The telco claims that nearly 90 per cent of its total subcribers (304 million) have 4G SIMs but the number of data customers is actually much lower - at 86 million - than Jio's 186.6 million. The data customers are primarily acquired from the churn in the existing 4G customer base, or people shifting from 2G to 4G. The limited potential to poach data subcribers from each other has turned the focus of telcos to upgrades. Airtel, for instance, has Project Jump where it focuses on upgrading subscribers from 2G to 4G, and offers free data for the first month. In the analyst call last week, Airtel's CEO for India and South Asia Gopal Vittal had said that "when people move from 2G to 4G, the ARPU [average revenue per user] doubles. 4G is a critical game for us to win." Airtel has lined up big investments to scale up its 4G network across the country - about Rs 25,000 crore in 2018/19 - to serve new and existing data subscribers. A chunk of this investment will be utilised in ramping up LTE services and expanding the network in India. "LTE is not fully deployed in the country. There's significant amount of upside in terms of the creation of capacity," Vittal had said. Customer upgrades and retaining its existing subscribers - even if it requires offering tariffs at absurdly low levels - seem to be the two-pronged strategy for Mittal. But that's not the only top priority for him. His tower company - Bharti Infratel, in which Airtel owns 53.51 per cent stake - has recently proposed merger with bigger Indus Towers. The merger will see Vodafone and Airtel jointly owning 66.6 per cent in the combined entity (valued at Rs 64,270 crore), and negotiate as a block to sell their stake in this valued asset. Consolidating the towers business could generate resources for Mittal that can be used to pare debt and to expand network. Airtel's net debt is ballooning at a fast clip - from Rs 91,714 crore in December 2017 to Rs 95,228 crore in March 2018. With Jio turning things upside down, Mittal's seat-of-the-pants approach to counter competition comes with significant downside risk, and perhaps making a comeback would not be an option. It's not certain that his bets will pay off in the long run. But this is a do-or-die situation for Mittal, and Airtel, a telco that he has nurtured for nearly 23 years. Mittal's plan will be subjected to several imponderables. First and foremost, Airtel's long-term survival depends hugely on the future upside in its APRUs. Airtel has seen sharp deterioration of about Rs 70 in its ARPUs over the past two years. If ARPUs keep falling at the current pace, Airtel might not see the end of this battle. So far, Airtel has no clarity on when the ARPUs will bottom out. The other big area of concern is the regulatory environment becoming even stricter. The reduction in mobile-to-mobile IUC (interconnect usage charges) rates - from 14 paisa to 6 paisa - and termination charges for international incoming calls has badly hit operators like Airtel. What's more worrying is that telecom regulator TRAI is talking about slashing the IUC rates for all types of domestic calls to zero by 2020. A significant part of Airtel's current revenue comes from IUC charges. Airtel and other operators have recently got relief from telecom tribunal TDSAT on TRAI's telecom tariff order (which is going to hurt incumbents) but that's not going to put the matter to rest. In the face of troubles, Mittal has fought his battle with courage so far. As the fight gets uglier and prolonged, his chances of coming out as winner will start to wear off.